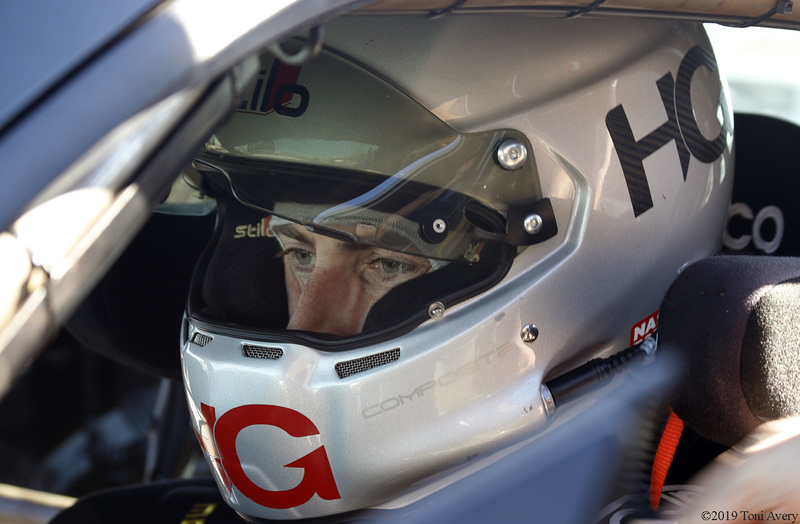 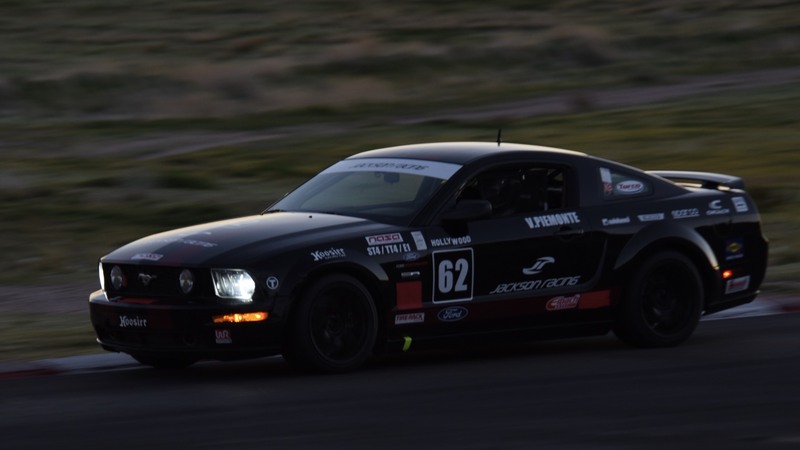 March 16, 2019 – HG Trackside and Jackson Racing team up in Vincent “Hollywood” Piemonte’s E1 Class Ford Mustang GT racecar at Willow Springs International Raceway for the 1st round of the NASA Western Endurance Racing Championship (WERC). 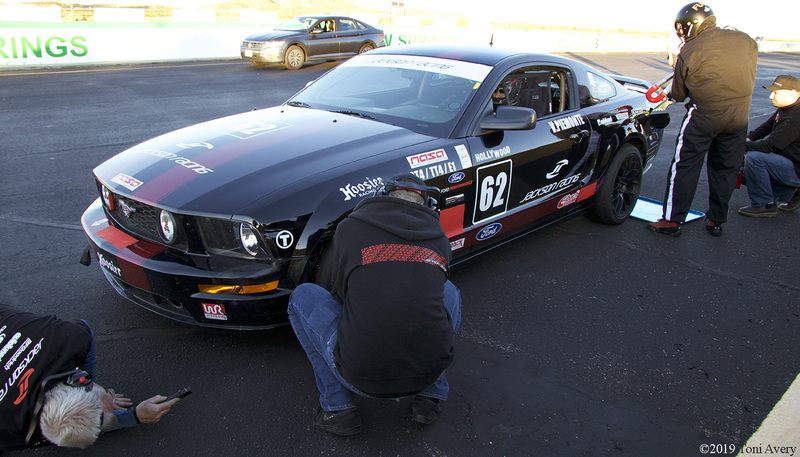 The race day started quite early getting the car through annual technical inspection and giving each driver time during practice sessions to get acclimated to the car. 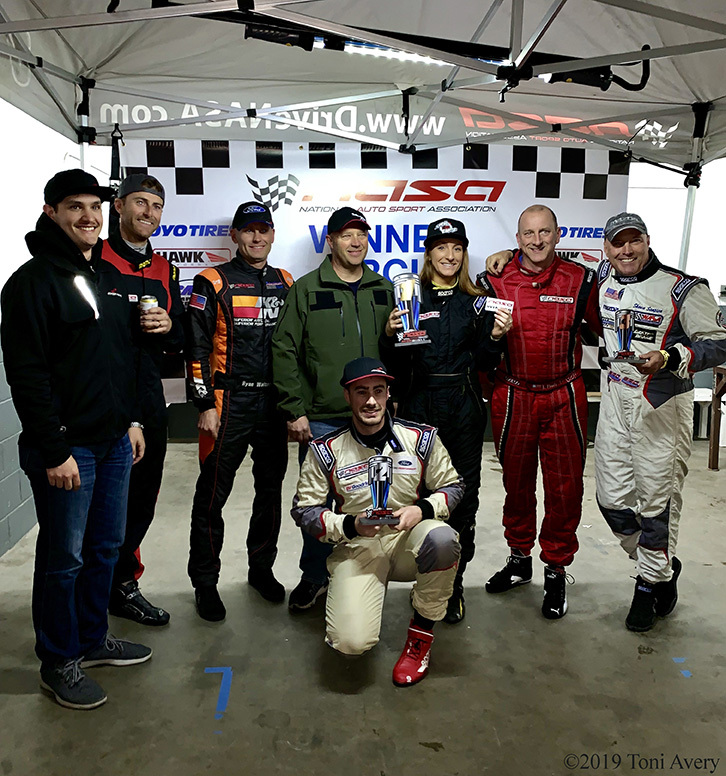 There were three drivers in rotation for the evening endurance race; Oscar Jackson (far left) of Jackson Racing and driver coach for HG Trackside, Dieter-Heinz Kijora (center), HG Trackside Team Principal, and Vincent Piemonte (far right), a Hollywood stunt performer that has been working with Oscar Jackson for a few years now. 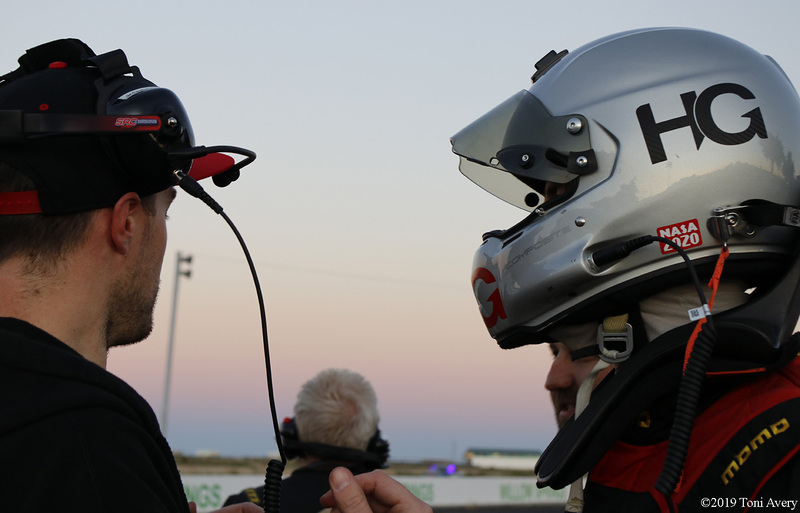 After spending the day preparing for the 6:00 pm race start and getting important practice laps in, the Jackson Racing/HG Trackside team set up at the pit wall for the three-hour timed race. 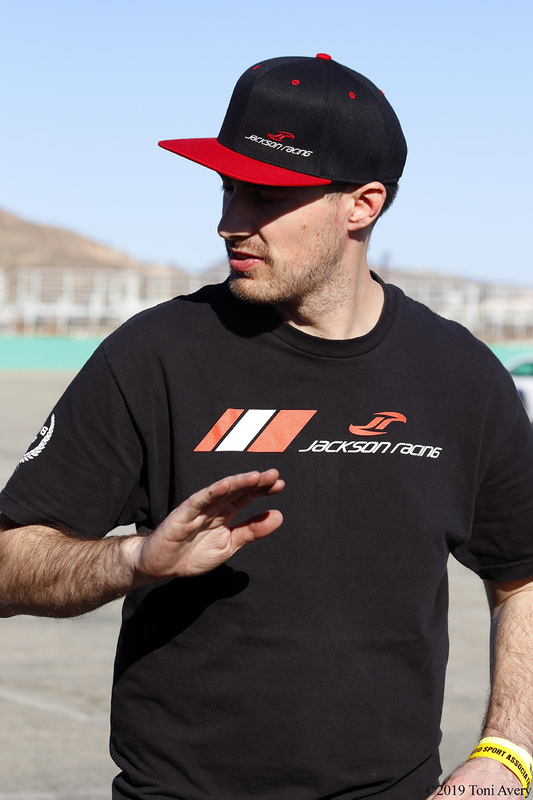 With normal crew chief Oscar Jackson Sr. not in attendance for the start of the race, Oscar Jackson stepped in as interim crew chief for the first hour of the race. 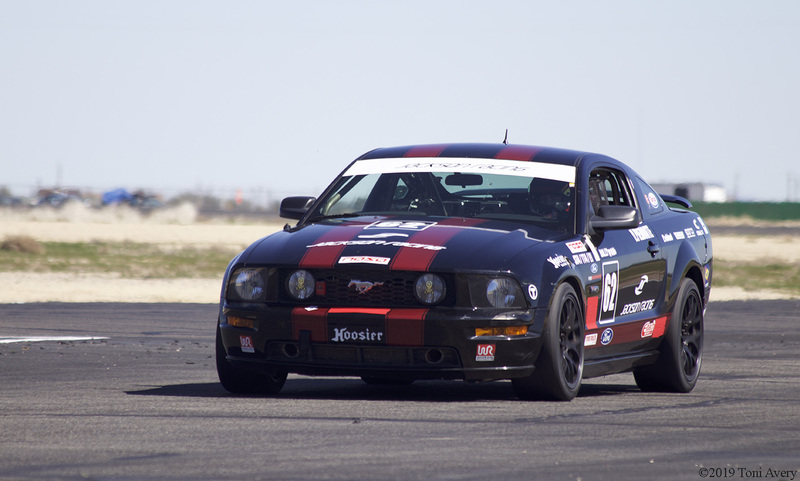 The team made final preparations for fuel stops and tire changes in the pit lane and one more once over of the Mustang. 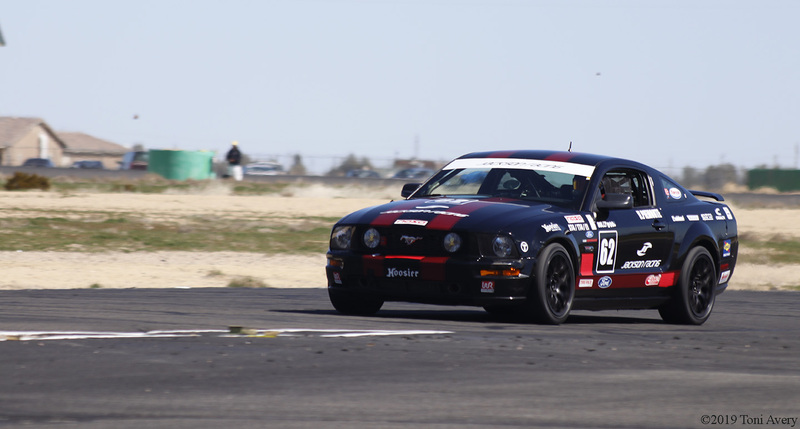 It was decided that Vincent would take the first stint with plenty of daylight and fresh fuel and tires. 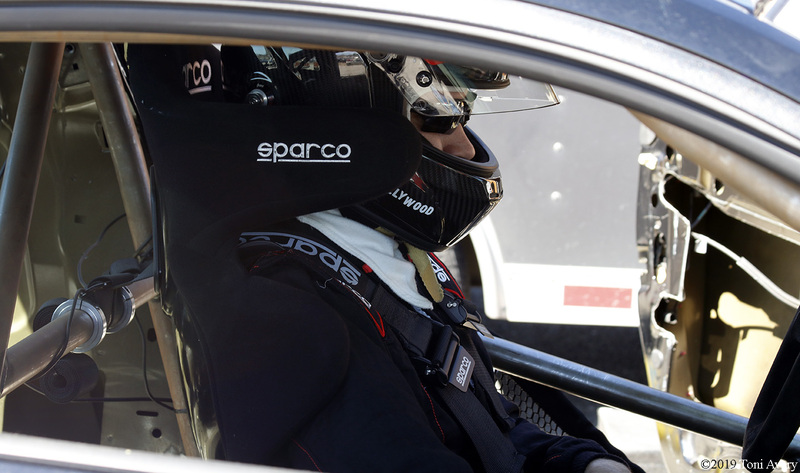 Dieter-Heinz ran the middle stint, which left the final and darkest stint for Oscar Jackson. 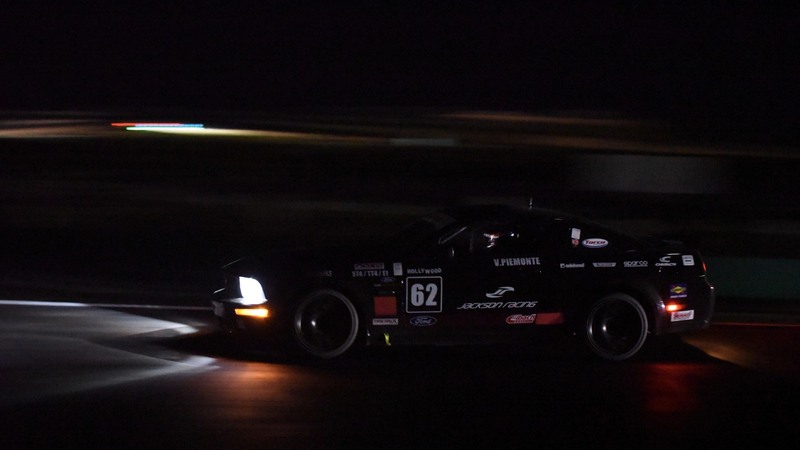 During the three-hour race the team performed 4 total pit stops, two scheduled and two unscheduled, the unscheduled being for excessive tire wear on the soft Hoosier A7. 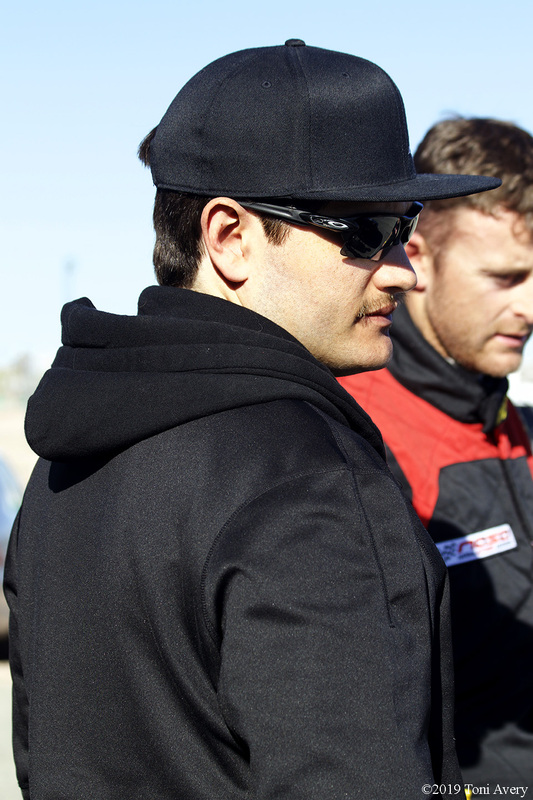 Each stop the crew performed flawlessly, showing their endurance experience. 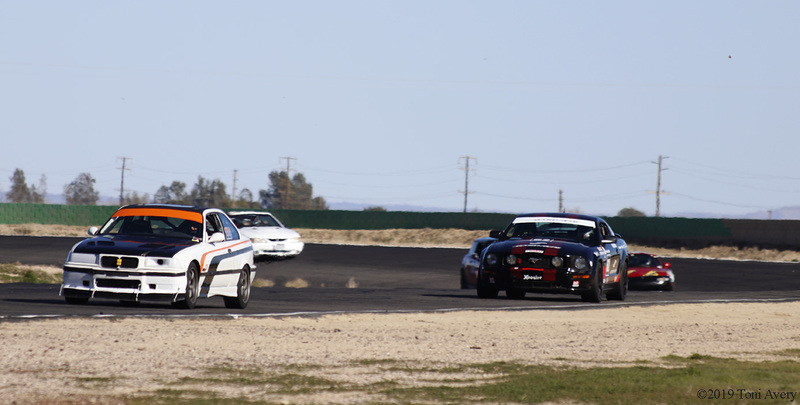 It was an exciting race with cars from so many different classes all battling for position. 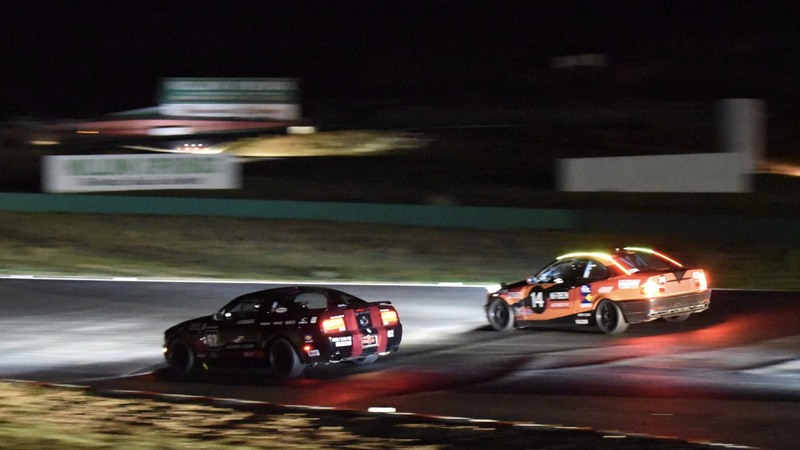 Towards the end of the race Oscar started to catch the leading E1 class car and there’s a good chance that with one less pit stop Team Jackson Racing/HG Trackside would have caught the first place car. 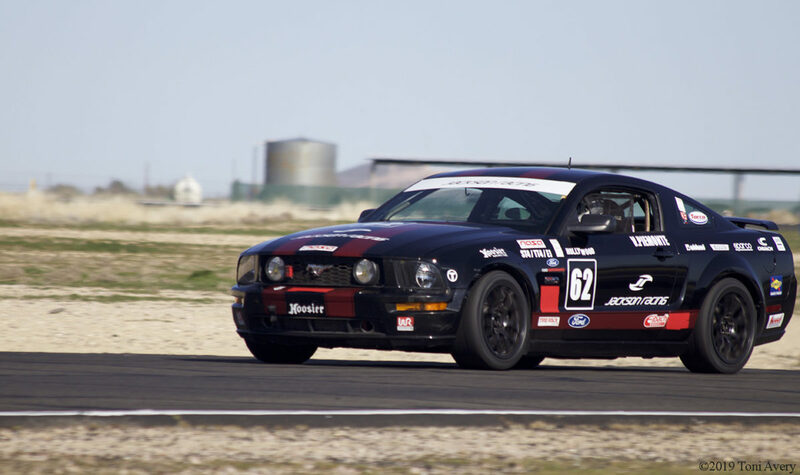 Overall, a 2ndplace in this car’s first endurance outing is a great result! 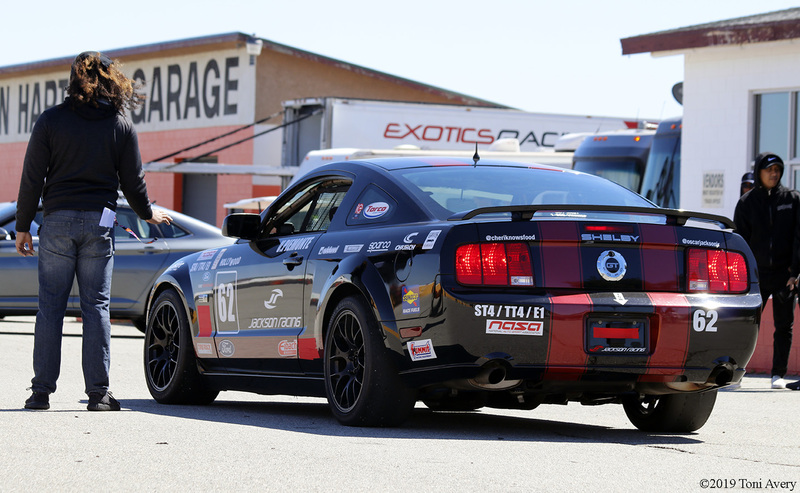 HG Trackside and Jackson Racing plan to bring the E1 Ford Mustang GT out for the 2ndround of the WERC Championship at Buttonwillow Raceway Park in April.